Bring Percy the Penguin to life and learn all about his world in the Carter Station Wildlife Refuge in this IncrediBuilds Jr. book and model set! Percy the Penguin has loved living in the Carter Station Wildlife Refuge since he had to seek refuge there after an oil spill, but there’s one thing he hates—swimming! While all the other animals enjoy spending summer days in the ocean, Percy is afraid of the water. 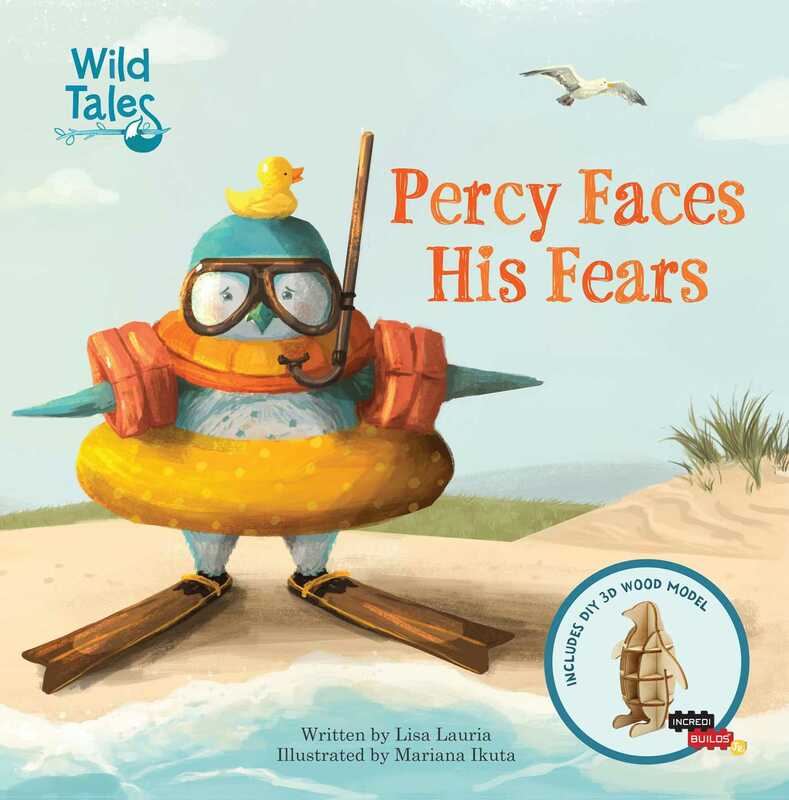 But with some determination and the help of his friends, Percy learns how to face his fears, confront his past, and join in on the fun. Not only does this storybook feature stunning, original illustrations, but it also includes a simple wood animal to build and customize, as well as a fold-out playscape to stage and photograph Percy! Encouraging creative play and wildlife conservation, these books are perfect for an engaging and interactive story time. Lisa Lauria is a children’s book writer and editor based in the New York City area. She has written for licensed properties including Disney, Care Bears, and Mad Libs. When not writing, she enjoys spending time with her husband Peter, her daughter Cassidy, and her very rambunctious dog Stella. Mariana Ikuta studied design in Brazil, illustration in London, and art in New York. Since she was young, she used drawing as a way of expressing herself until she realized that could be a profession. Nowadays she lives in Vancouver working as an illustrator, and she discovered that her true passion is in illustrating picture books. Life can’t be more delightful than when discovering fantastical and incredibly colorful worlds for children.